April 5, 2017 4:12 pm. The Australian Oaks is run under set weight conditions and is only open to three year old fillies, making it one of the richest races of its type in the world. Being such a unique event, the best fillies from around the country and even some overseas visitors have graced the Randwick turf in search of Oaks glory. Some of more well-known winners of the race include Royal Descent (2012), Triscay (1991) and Republic Lass (2002). The Australian Oaks has been a Kiwis’ race in recent times. Aside from Unforgotten’s 2018 win, New Zealanders had won four-straight Oaks titles. If a key elect is coming across the Tasman for the race, more often than not they will be highly competitive. Check back closer to the race day for more in-depth Australian Oaks markets. Kiwi import Verry Elleegant is at the top of the Australian Oaks market via online bookmaker Sportsbet ($1.85). The horse that ran second to the Kiwi Frankley Awesome in the Group 1 Vinery Stud Stakes is on the second line of betting at the $5 quote while one-time favourite Aristia ($7) is the only other runner in single figures. The Australian Oaks is just one of many feature races held during The Championships in Sydney. The following bookies are the ones the team at Horsebetting.com.au bet at and trust implicitly. You can follow the table to individual reviews and to claim great sign-up specials. Verry Elleegant was an easing favourite in the Austrlaian Oaks but the punters that kept the faith were rewarded with a sensational win. The Kiwi travelled well in transit and when produced took a while to settle but once she straightened she put pay to them, recording a dominant win. Unforgotten came into the Australian Oaks as a key market elect and punters would have been extremely confident after the horse got a strong run in transit. Fellow favourite Hiyaam skipped away heading into the straight but Unforgotten quickly gobbled it up and streaked away. The Kiwis were back at it again when Bonneval won the Oaks for trainers Murray Baker and Andrew Forsman. The Makfi filly was travelling perfectly throughout the run and jockey Hugh Bowman was just sweating on the favourite throughout the run. It quickly gathered in the two leaders in the concluding stages for another top class victory for the New Zealand runners during the Sydney autumn. Read report here. Sofia Rose, for New Zealand trainer Stephen Marsh and jockey Hugh Bowman, was too good for Ambience and Believe, but it was a fall that stole the show. Kathy O’Hara fell from Single Gaze after the horse clipped the horse in front. It then looked like O’Hara was under the horse. It would be several months until she returned to the saddle. It was a huge win for Bowman who rode four winners during The Championships, with Sofia Rose, a $4.80 shot, one of the highlights. Ambience ($41) and Believe ($61) defied their long odds. Read full report. Gust Of Wind ($17) upset a star studded field which included the soon to be sensation Winx ($2.80), which finished second, and early race leader Candelara, which held on for third. Tye Angland rode the winner beautifully and timed a run to perfection in just the horse’s fifth start. Ironically Angland was meant to ride Thunder Lady, Gust Of Wind’s stablemate before being dumped prior to the race. Rising Romance ($6) notched up a win for the Kiwis with a super-impressive display. After a disappointing showing in the Vinery Stud Stakes weeks earlier, Rising Romance, with James McDonald in the saddle, proved too strong for second placed Zanbagh ($7.50), and favourite Lucia Valentina ($2.10), who had got back to last before producing a nice run home. 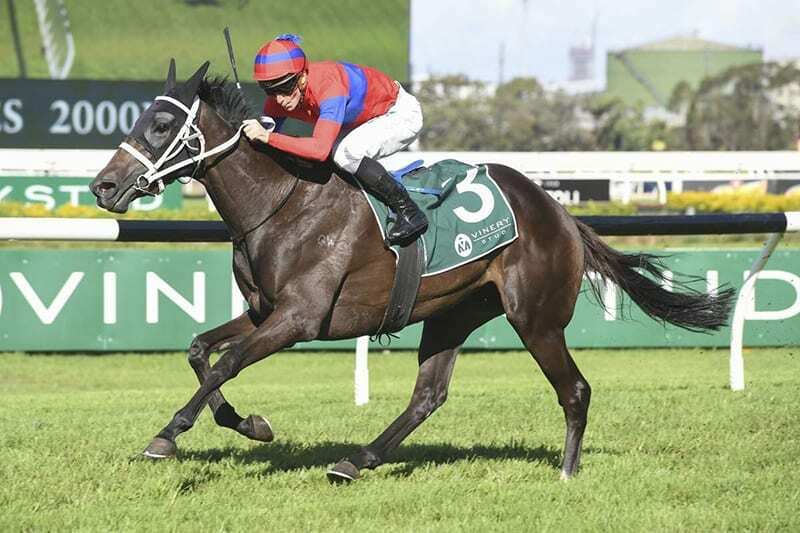 Royal Descent, trained by Chris Waller, had been in doubt because of the heavy conditions at Randwick, but connections opted to run it and it proved to be the right decision. Royal Descent began to work its way into the race at about the 1200m mark, eventually joining the leaders on the straight after find a gap down the inside. Dear Demi finished second, while Gondokoro ran on well to finish third. Guy Walter guided Streama to the Australian Oaks, his third win in the race for fillies. Expertly guided by Hugh Bowman, Streama got well back, but showed class to overhaul leaders Alivana Tilde and Thy, who fought on for the minor placings.